We have various locations to provide fast reliable Skip Hire in Bishops Stortford. 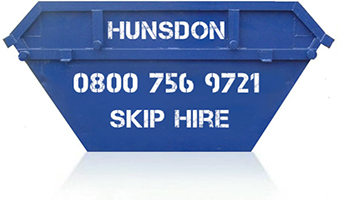 Hunsdon Skip Hire are in Bishops Stortford areas daily and can offer great low prices. Avoid Skip Hire agencies and book with us direct for the best service at lowest cost. Licenced for Skip Hire in all Hertfordshire areas, we offer cheapest prices for all sizes of Skips in Bishops Stortford and all surrounding areas. Trade or Domestic household users are welcome and we recycle your waste at one of our local Recycling Stations. All Bishops Stortford postcodes, CM21, CM22, CM23, CM24, SG11, Essex or Herts and all suburbs are covered so please let us quote for your Skip Hire. All Bishops Stortford CM23 and CM22 postcodes, as well as Sawbridgeworth, Much Hadham, Takeley, Little Hallingbury, Thorley, Stansted Mountfitchet, Birchanger, Elsenham, Farnham and all surrounding suburbs of Bishops Stortford. Skip Hire in Hertford / Ware areas too. for commercial & industrial bulk waste disposal. Carr Bircher, Courtlands, Froom or other local Skips. Avoid the Skip Hire Agencies, deal direct and save! Recycling, Waste Disposal, Waste Management & Haulage.